Skip Beat! [Manga] 179 ~ who exactly is he? They're not play-acting. A dispute turns ugly on set. I rarely write about manga, but Skip Beat seems to be the exception. Although some chapters in the past have concerned themselves with light-weight, humorous side tales, the story keeps coming back to some darker, serious themes. I mentioned before that I admire that Skip Beat tries, in its own way, to present the lives of professionals. Of course another reason is that the heroine, Kyouko Mogumi, keeps being cast in bad girl roles, and looks great doing them. I also mentioned that Skip Beat deals at times with something we might call meta-acting. The current arc, including the most recent chapter (#179), feature the darker themes, meta-acting, and, of course, Kyouko plays naughty. For those who might be familiar with the anime, but aren’t current with the manga, here is a little taste of where things stand. Kyouko performing as Setsu Heel. 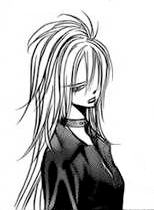 In the current arc, Kyouko and fellow actor Ren Tsuruga are meta-acting as sister and brother, Setsu and Cain Heel. “Cain” has been contracted to act in a movie, where he plays the part of B.J., a psychotic killer. Nobody knows that “Cain” is really Ren, as Ren and Kyouko play the roles of Cain and Setsu to the other people in the production. Ren seems to be relishing his role as Cain, and is very protective of his little sister, to the point where he threatens Murasame, another actor, for getting too close to her. 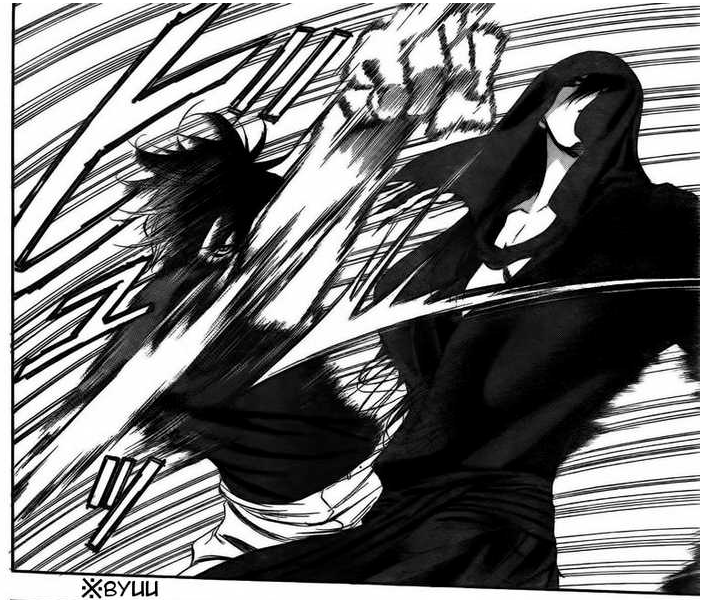 From the perspective of the other actor, Cain isn’t just playing the role of B.J., Cain really seems to be a dangerous, violent individual, but his ego keeps him from backing down, and in a scripted fight scene between the two, Murasame ignores the direction, and attacks Cain for real. Kuon as Ren Tsuruga as Cain Heel as B.J. During the fight, Ren/Cain/B.J. responds with seemingly every intention of not only killing Murasame, but enjoying the hunt. The director loves the “convincing” energy, the other actors (including Murasame) are frightened by Cain, who they are sure is not really an actor, but a dangerous killer, and Kyouko struggles to maintain her role as Setsu. She is confused by the blood-lust she saw in Ren’s acting. Has he lost himself in the role of Cain? What Kyouko doesn’t realize is that “Ren” is already a construct. Ren is a role that a deeper personality, Kuon, plays, because Kuon is too wild and dangerous, and already cost another his life. Kuon has been locked away, but this role, unlike the heroic roles that Ren usually plays, needs to tap into the darkness that Kuon knows so well. This meta-acting (and, in the case of “Ren”, meta-meta-acting) is an interesting aspect of Skip Beat. Powerful emotions that are locked away, are, perhaps, more traditional shoujo fare, as are hot-looking actors and actresses. Well, my intention isn’t to convince you that Skip Beat is deeply philosophical. I do continue to enjoy the story, and thought I would share a sample with those who haven’t looked into it. well, I’m satisfied with this current arc, but I kinda miss the time when I laughed so hard when reading Skip Beat!. True. It is *not* as funny, but I like this storyline. I tend to like the ones that take place during actual professional activities more. 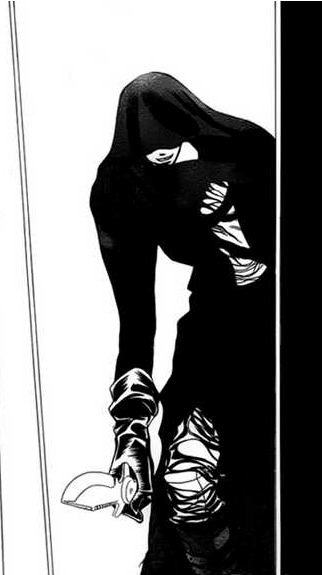 But yes if you have not read Skip Beat! What shoujo world have you been living in? It’s such a nice change from all those sappy shoujo manga which hardly seems to have a concrete plot line. Haha! Well, I basically don’t read manga except for Skip Beat, so I assume that there must be people who read even less than me. Besides, I enjoyed this episode so much I wanted to post some pictures.